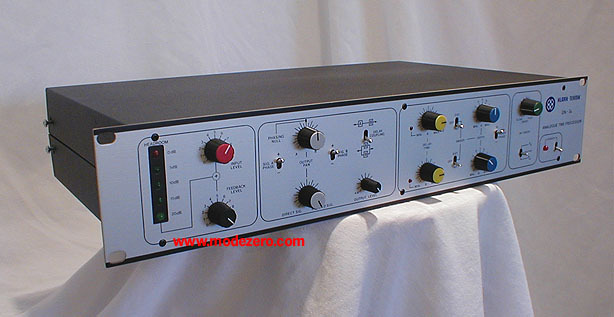 MUFF WIGGLER :: View topic - Vintage CV controlled 19" FX? Vintage CV controlled 19" FX? what are the "don't and do's" of these units? i think there was a Mutron Digi. delay with some cv option. the MXR Pitch Transposer (the original one) has a CV in. honestly, there are so many older delays or other fx from the 80's with cv inputs its hard to list them all. There are tons of digitech racks (I believe the entire RDS line) that have VCO inputs for modulation of delay times. MXR has some digital delays with CV inputs too. Be sure to check out the digitech ones. They are delays with CV inputs for lots of the functions and these run really cheap. Its common to find these between $25-50 on craigslist. Lexicon MPX1 takes 0-5v, obviously not vintage could maybe considered a veteran though. A good rule of thumb is to just feed your signal through a completely closed attenuator or VCA and adjust until you get the level you want. Forgot to say: i like analog more than digital. except an UE400/405 and VRS23 it's overall digital: Boss SX700, Digitech studio quad + 400 & Ibanez DM100. The units in the first post are some future upgrade thoughts and should be replacementcandidates for most of my Pearl stompboxes plus digital FX. All aux' does have an mixer channel for themself. Dynacord TAM-21 is an incredible piece of gear! sometimes i use it's LFO along with Sherman or MS-20, but TAM is also great as a sound generator itself - just patch its outputs into inputs. What I don't know is "what is the expected value of this input? does anyone have the manual which might have this info?